The 2019 Chargers Fan Cruise is now available for booking through the Automobile Club of Southern California, and members and non-members can call (888) 874-7222 or their local Auto Club branch for more information. The three-night cruise will take place March 8-11, 2019 aboard the Carnival Inspiration, departing from and returning to Long Beach with a stop in Ensenada, Mexico. Chargers fans will have an opportunity to meet and interact with select team players and Chargers Legends (to be announced), as well as fellow travelers who share their passion for football. 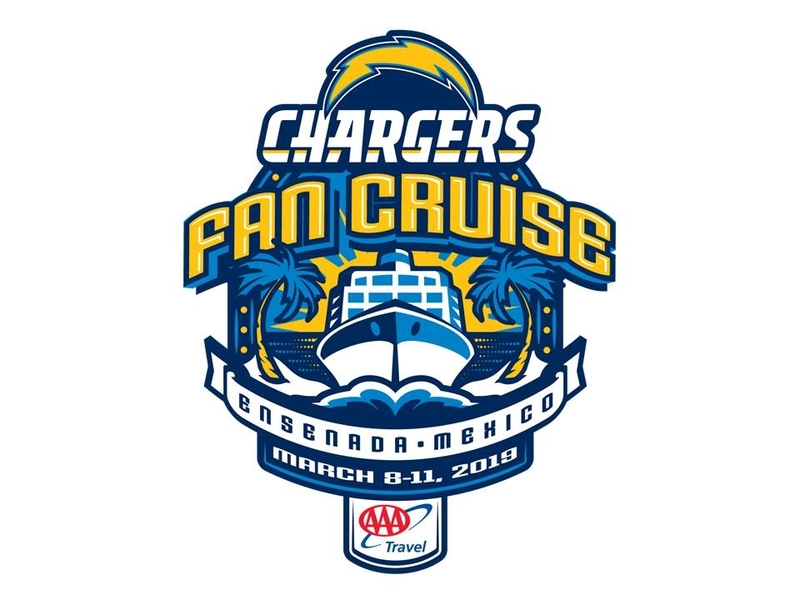 “The Chargers Fan Cruise is a great opportunity for sports fans to connect with each other and the team while enjoying one of Carnival’s most popular cruise offerings,” said Filomena Andre, the Auto Club’s vice president for travel services. Cruise prices start at $439 per person, double occupancy. * The fan cruise is open to members and non-members, and can only be booked through AAA Travel, by visiting any Auto Club branch, calling (888) 874-7222, or going to AAA.com/FanCruise for more information. “We advise Chargers fans to book as soon as possible to make sure they get their preferred accommodations,” Andre said. *Base price does not include taxes, fees and port expenses totaling approximately $82 per person.